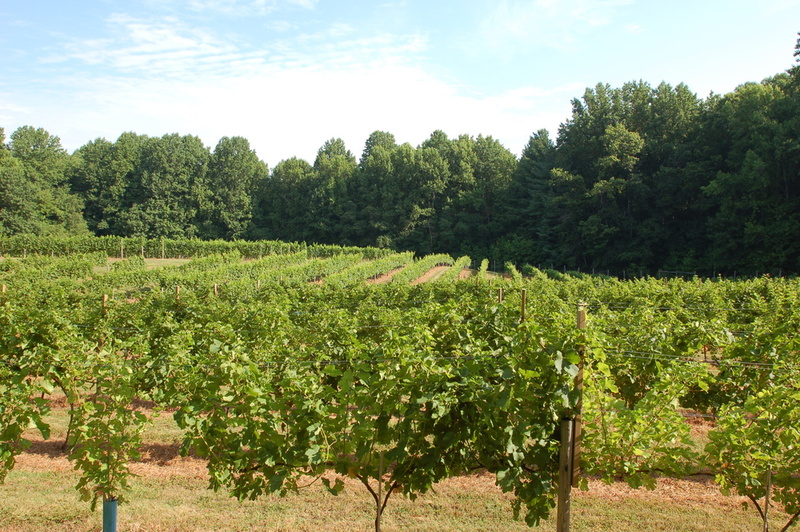 All of our wines are made exclusively from grapes grown in the vineyards at Thanksgiving Farm. We specialize in the production of European-style dry wines. Thanksgiving Farm is located 20 miles due east of the U.S. Capitol in Washington, D.C., on a gentle ridge separating watersheds that drain to the West River and to the Patuxent River. Thanksgiving Farm® is the registered Trademark of Heimbuch Estate Vineyards & Winery, LLC. We age our red wines in 59 gallon French oak barrels. Our winery building houses our wine processing facility, barrel aging room, and wine tasting room. We use small stainless steel tanks for fermentation which allow us to process our wines in small batches. Our intimate wine tasting room is adjacent to our barrel aging room and wine processing facility. We received commendations from the U.S. Department of Agriculture, Maryland Department of Agriculture and Natural Resources Conservation Service for our responsible stewardship of the land. 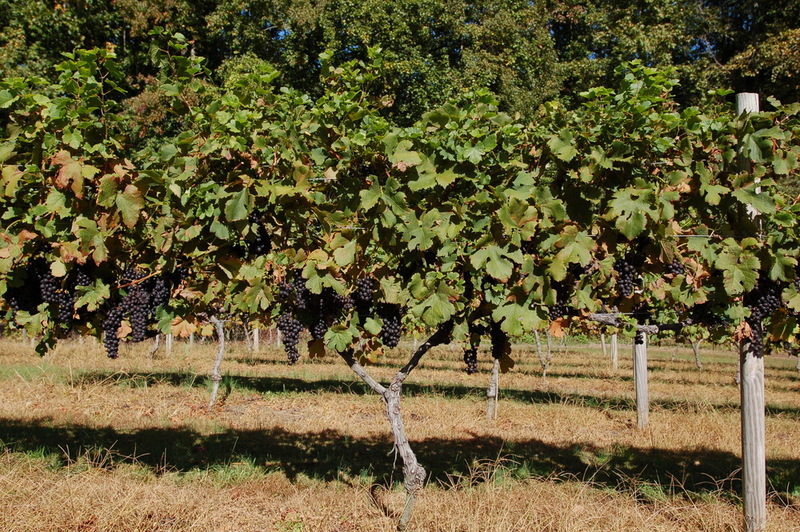 We harvest late in the season to ensure our grapes are fully ripe. We hand pick our grapes, selecting only clean, ripe fruit. The farmhouse at Thanksgiving Farm was built in 1893. In 2004, we completed a systematic restoration of the farmhouse. 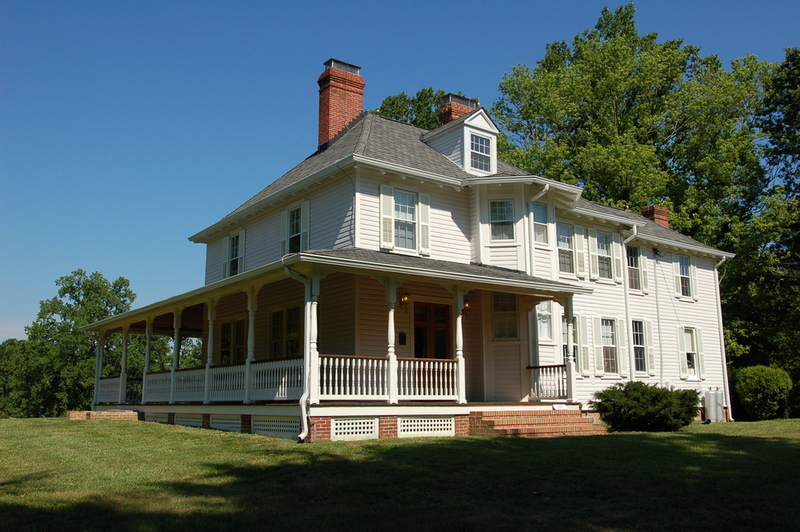 In 2007, Thanksgiving Farm (previously part of Richland Farm) was listed on the National Register of Historic Places by the U.S. Department of the Interior. To preserve the rural character of Thanksgiving Farm for perpetuity, we granted Anne Arundel County a Conservation Easement on the farm. Our wines are available for purchase in fine wine stores in Anne Arundel County, Maryland. Our wines are also available for tasting and purchase by the glass, bottle or case from our tasting room. Due to state alcoholic beverage regulations, we currently can only ship our wines to Maryland, the District of Columbia, and Florida. There is a 6 bottle minimum for shipping. — Carlo De Vito, author "East Coast Wineries"
— Kathy Sullivan, author "Wine Trail Traveler"
April through November 25th, most Saturdays and Sundays from 1 pm to 5 pm. (Because ours is a small family business, we occasionally have to close our tasting room to attend to other matters. We always post those times on our website.) Late-November through March our tasting room is open by appointment only. We charge $12 per person for wine tasting (5 wines). We also sell our wines by the glass or bottle for onsite consumption; and we sell our wine by the bottle and case (at a 15% discount) for you to take with you. Although we do not serve food, you are welcome to bring snacks or a picnic to enjoy with our wine at our outside picnic tables adjacent to our tasting room. Thanksgiving Farm Winery is close to Washington, D.C. - 20 miles due east of the Capitol Building. 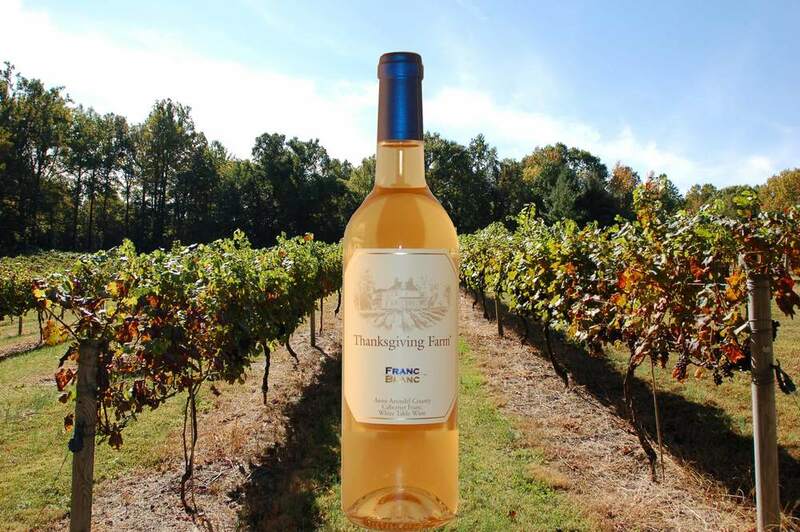 Thanksgiving Farm Winery is close to Annapolis, Maryland - 10 miles south of the city.